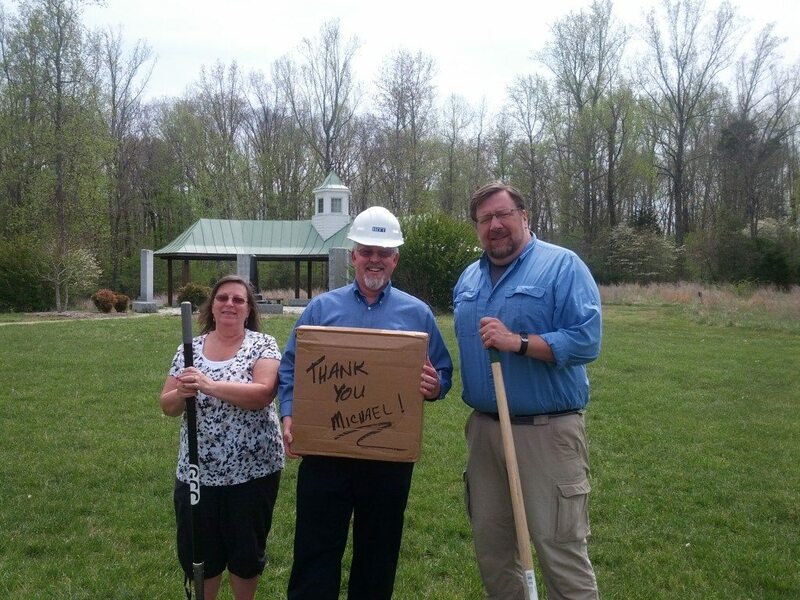 With a recent $250,000 donation, the Germanna Foundation hopes to begin the construction of a new archaeology research laboratory and artifact storage building near the Brawdus Martin Germanna Visitor Center in Locust Grove. The donation comes from Dr. Michael D. Frost, of Kansas City, MO. as a continuation of his support of the foundation’s growing archaeology research program. The foundation expects the new laboratory building to be completed by the fall of 2016. The Germanna Foundation currently operates a visitor center at its property at 2062 Germanna Highway, which encompasses 179 acres of the original land settled by German families between 1714 and 1717, under the direction of Lt. Gov. Alexander Spotswood. The foundation, dedicated to preserving the land and heritage of the earliest German settlements of colonial Virginia, was established in 1956. A 2013 land transfer from the University of Mary Washington to the foundation was motivation to advance the foundation’s master plan, which envisioned the potential for additional buildings including a library and museum exhibit space, explained Germanna Foundation Chief Operating Officer Steve Hein. The 62 acres of transferred land includes the Enchanted Castle and original Fort Germanna and is on property on Route 3 (Germanna Highway) across from the visitor center. The site was previously used by University of Mary Washington archaeology students who unearthed the foundation of Gov. Spotswood’s mansion. The following year, Germanna announced the appointment of Eric Larsen, Ph.D., as archaeologist of the foundation, allowing the foundation to continue the archaeological exploration of the property. Dr. Frost, who has underwritten the foundation’s staff archaeologist position since 2014, is a descendant of Spotswood and also serves on the Germanna Foundation’s Board of Trustees. Currently, the Germanna Community College’s Locust Grove campus is providing laboratory space to the Germanna Foundation for use during the 2016 archaeology field season. The Germanna Foundation donated 100 acres to the Commonwealth of Virginia in 1969 to launch Germanna Community College. With Larsen’s recent work digitally mapping the site, stabilizing the site and analyzing the data, the site will be ready for excavations this summer. Virginia Commonwealth University will conduct a field school hosted by the Germanna Foundation at its Fort Germanna and Enchanted Castle archaeological site this summer, learning excavation techniques and helping Larsen in the search for the boundaries of Fort Germanna. With the archaeology field season fast approaching, the foundation has a need for a laboratory facility, explained Hein. “As we’re looking for the fort this summer, we’ll get new artifacts and we need a place to process, catalog and ultimately store those artifacts,” Larsen said. In 2014, the foundation had a county-approved special use permit to construct a two-story facility with a basement. The facility was to serve as a library, museum and archaeology laboratory. Since then, the foundation has decided to divide the project into two separate facilities—with the archaeology lab being the first constructed. The laboratory, still in the design stages, is expected to be about 3,000 square feet and finished with a German half-timbered design, Hein said. The open layout will allow the space to serve as an educational space for classes or volunteers who might want to help with the process, explained Larsen. The foundation’s steps toward getting this facility built and including storage for future artifacts in the plan shows its long-term commitment to the archaeology program, Larsen said. The foundation has begun project work and design conversations with FPW Architects, Superior Buildings LLC. and HITT Contracting. Those plans are expected to be complete within the next few weeks and will be submitted to the county for consideration, Hein said.